Ted had an important presentation that he was working on. Sitting cross-legged on his bed, he labored on, trying to make it to the deadline that he had. He needed to go meet his client and show him the presentation. After a long arduous period, when he finished the presentation, as Ted tried to get up, he felt like his left foot was very heavy. There was no sensation. With every effort to move his leg, he winced with pain; it seemed that hundreds of pins and needles were being pricked in the leg. He was not able to move his foot at all and was completely immobilized. He had no option but to let it be for a few minutes after which thankfully the tingling sensation was over and his leg was back to normal and he was able to walk to his client. Ted mentioned this to his colleague who met him at his client’s office. His friend was quite unperturbed about it and said that this was because Ted’s leg had fallen asleep. Ted laughed and wondered as to how someone’s leg can fall asleep. Out of curiosity, Ted looked this up the Internet. This is what he found. What is falling asleep of limbs? Parathesia – is the tingling sensation that follows obdormition, colloquially called “pins and needles”. Our nerves form a nexus or a network for communication between the brain and other parts of our body. It makes a two way street, transmitting commands from the master brain and giving the sensory information to it for process. The sleeping limbs are due to the continuous pressure on the nerves that cuts of the communication links. When we have been putting pressure on some part of our body for long like – sitting on a foot, sleeping on an arm, etc., it applies continuous pressure on the nerves in that area and severs the connection of that nerve. So, that particular nerve cannot talk to the brain and send information to it. Since the brain has no data, the part feels numb. Moreover the pressure also squeezes the blood vessels and cuts off the nutrient, oxygen supply too. 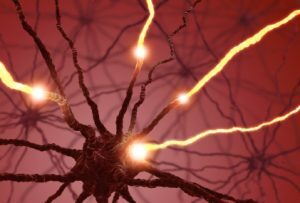 Without these nutrients, the nerve cells may behave abnormally, which can further interfere with communicating the information. The nerve transmission goes haywire. Some nerve cells don’t transmit any information and others start sending impulses erratically. This sends scrambled signals to the brain. On receiving jumbled information, the brain generates an array of sensations like warmth, tingling or numbness. Moreover the nerves have different structures. The fibers that transmit pain and temperature information are relatively thin, so you feel the tingling situations pretty quickly. Motor control fibers are thinner than the ones carrying touch information, so you can move the body part before you’ve regained complete feeling in it. 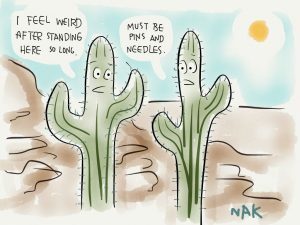 Why does the tingling become severe when we move our limbs? When limbs fall asleep, we usually try to wake them up by changing positions. This makes the blood gush back to the squeezed blood vessels of the limbs and the releases the nerves of the pressure. There is a certain amount of re-adjustment time before the nerves transmit impulses correctly again. All this gives a little boost to the misfiring nerves and increasing the pins and needles effect. Eventually with time the nerve signals become normal and so does the effect. 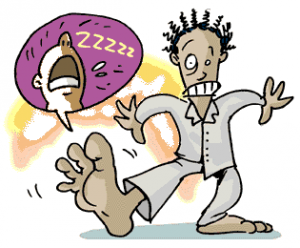 The foot falling asleep and the tingling sensation is a signal to your brain to take action and remove the pressure from the particular part. If the nerves are squeezed for long they can lead to the damage of the part and other harmful effects. The tingling and the pain prevent our body from the damage. You can walk around or move your limbs, massage the affected area or take warm or cold compress to awaken your drowsy limbs. All this helps to bring back the nerve signals and the blood flow back to normal. The outcome of the study left Ted feeling enlightened. It was good to get a comprehensive picture of what goes on in your body. Now he knew that limbs could actually fall asleep. He also figured out, what to do to wake them up.